Choosing a career path and starting that career can feel daunting. Don’t worry—the Career Services office is here to help. Come see us early and often, and use our SICE Careers portal to get essential career info and access many of our services, including applying for jobs and internships. Who can use SICE’s career services? Undergraduates, master’s students, Ph.D. students, and even alumni can use our services. You have access to SICE Careers and all of our career services if you are earning a major/degree, minor, or certificate in SICE or if you have completed at least 6 credit hours of SICE classes. Undergraduates who don’t meet these criteria can meet with Anna Bednarski or Kody Sexton to evaluate their goals and start their career planning. Our expert advisors will guide you one-on-one through every step of your career process, from polishing your resume to navigating job offers and salary negotiations. Learn to search for jobs and manage your career like a pro in Y395 Career Development, an eight-week, 1 credit hour course. Each undergrad major has its own version of Y395. SICE also offers several capstone and internship courses. 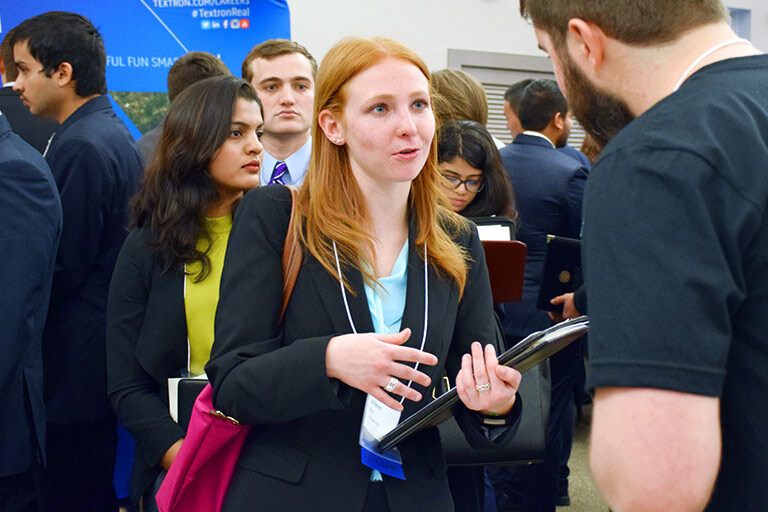 Held each September and January, the SICE Career Fair brings more than 100 employers to campus. We also host a variety of career workshops and employer events. SICE Careers lists a wide range of positions you can apply for, from part-time work you can do now to full-time positions. Other ways to get work and career experience include Serve IT, research opportunities, on-campus jobs (see Jobs at IU), volunteering, and the Bloomington Technology Partnership. Employers conducted more than 1,300 interviews for internships and full-time jobs at SICE in 2016–17. You can sign up for next-day interviews during the Career Fair or apply for positions that have on-campus interviews. 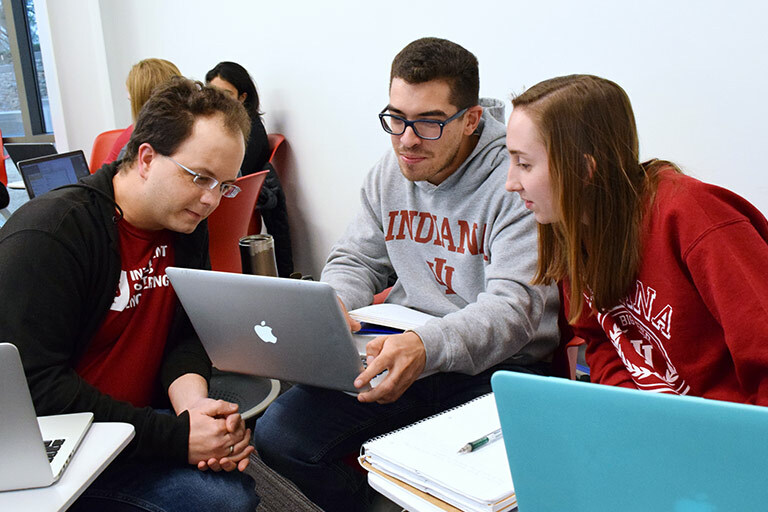 Get help with the H-1B visa process—and improve your chances of getting job offers—with the IU Immigration Bridge Program, offered by the IU Office of International Services. 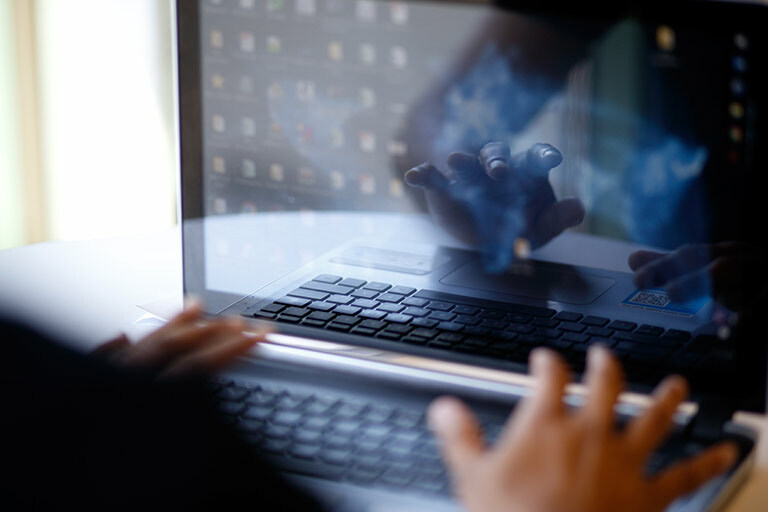 See what’s expected of you during the application, interview, and employment offer processes.